The smallest of our rooms, this cosy room is warmly decorated in aubergine and amethyst shades. 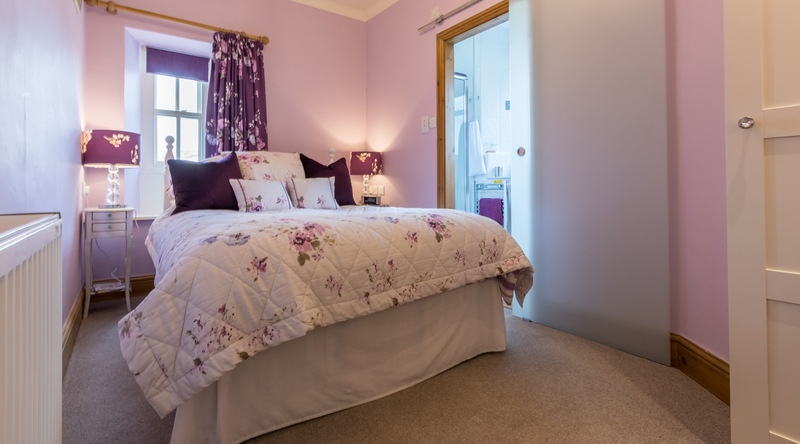 The Lilac room is at the back of the house and has a standard double bed. This room is perfect for the Single traveller or may be used as a Small Double for a couple. White furniture and silver coloured accessories complete the décor in this charming room.